Councillor Declan Bree is an indepedent candidate in Sligo-North Leitrim. Bree was originally elected to Sligo County Council in 1974 and has served on the council for over thirty-five years. 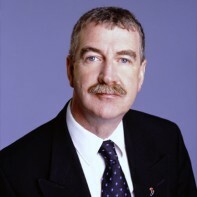 Bree was a member of the Labour Party from 1992 to 2007, during which time he was elected to Dáil Eireann for a single term from 1992 to 1997. The 2011 election will be Bree's tenth general election campaign. He first stood in 1977.